What's Next? 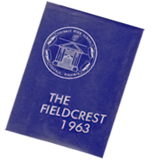 We are currently scanning all classes appearing in the 1965 annual to add to the site. That means the first few classes to graduate from Fieldale-Collinsville H.S. will be represented here. We have added just a few of the Juniors in 1965. These show up currently as year 1965J. More to follow. We need annuals from 1936, 1937.